Today, eBay will launch Retail Revival in its fifth partner city: Greensboro, North Carolina. 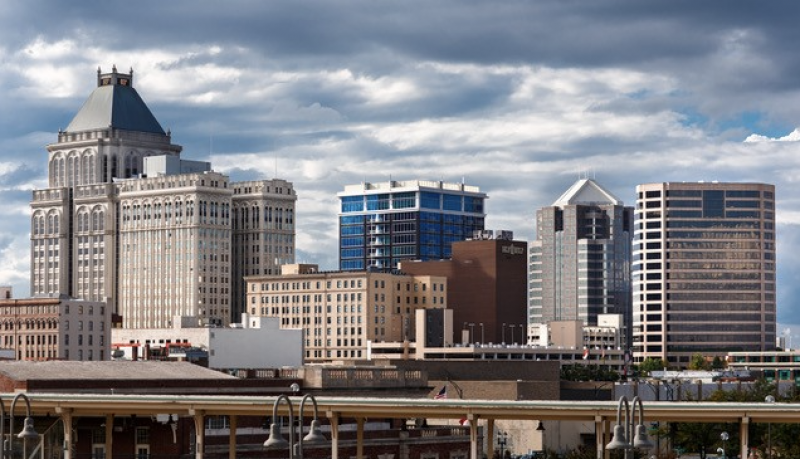 With its rich history as a textiles manufacturing hub and a pioneer in the Civil Rights movement, Greensboro offered the perfect balance of grit and vision to make this program a success. Retail Revival will help fuel the growth of Greensboro small businesses by equipping them with the tools they need to harness the power of eBay’s platform and global marketplace. Each partner city works with eBay for a 12-month period, during which participating businesses receive training, support and resources to start and scale their businesses on eBay. They are also promoted through ongoing storytelling, media outreach and a dedicated landing page – ebay.com/RetailRevival – where shoppers can browse and buy their unique products. The Retail Revival Greensboro launch will begin with a Seller Kick-Off event hosted by eBay for the more than 70 Greensboro businesses selected for the program. The participating businesses represent nearly every vertical, including home & garden, fashion, sporting goods, electronics, art and more. With expert guidance from a team of eBay’s seller support specialists, these businesses will be taken through a full day of programming as they learn best practices and practical tips for making the most of eBay’s platform. Included among the training topics discussed will be listing optimization, pricing strategies, and inventory management. The Seller Kick-Off will also include breakout sessions to learn the ins and outs of selling on eBay, a seller panel moderated by Dominique Hollins, eBay’s seller diversity manager, with three top eBay sellers (Michael Wilson, owner of Wilson Brothers Jewelry; Laurie Wong, of Reflections of Trinity and Scott Rowbotham, North Carolina resident and owner of HPTAutoSport), who will share their perspectives on ecommerce and how eBay has transformed their businesses, and a celebratory reception to cap off a successful day. The number and strength of applicants in Greensboro was tremendous, making the selection process highly competitive. After gathering input from several teams across eBay, businesses were ultimately selected on the basis of product-market fit, uniqueness of inventory, readiness for growth and strength of their brand narrative. Akron and Lansing sellers have sold over 30k items to more than 17k customers in all 50 states and 105 countries. Wolverhampton sellers hit the $2M mark in collective revenue within the first five months. The Retail Revival program helps advance existing economic development efforts by harnessing the power of technology and eBay’s global marketplace to support local business communities. Learn more about participating businesses and shop their unique inventory at ebay.com/RetailRevival (Greensboro businesses added soon! ).